As populations grow in our area, the importance of providing environmentally friendly building techniques. Residential and commercial businesses who want to employ more eco-friendly practices will find that this is an excellent way to not only create greener practices, but it’s absolutely stunning. The Roof Authority is Fort Pierce’s Top Rated Local roofer, and proud to be a green roofing company. We’ve been in the business since 1993, and our dedication to the highest quality of work with the latest technology in techniques and materials puts us at the forefront. Our reviews and gallery of past work is a testament to what you can expect when you hire us. Get a free quote for your commercial or residential project today! The first thing neighboring businesses and your visitors will notice is that your green roofing is colorful and looks amazing. Depending on your design, you can add a variety of plants, including grass, flowers, and bushes to create your own ecosystem. The hot Florida summers will be more tolerable when you have a green roof. These eco-friendly roofs are wonderful year-round, no matter what part of the world you live in. Those who live in hotter climates will have a cooler building in the summertime, which could reduce the demands on air-conditioning resources. And those who live in cooler climates will experience less heat loss, which could lead to lower energy bills. A normal roof is designed to last you decades as long as it’s maintained and isn’t hit by devastating weather. 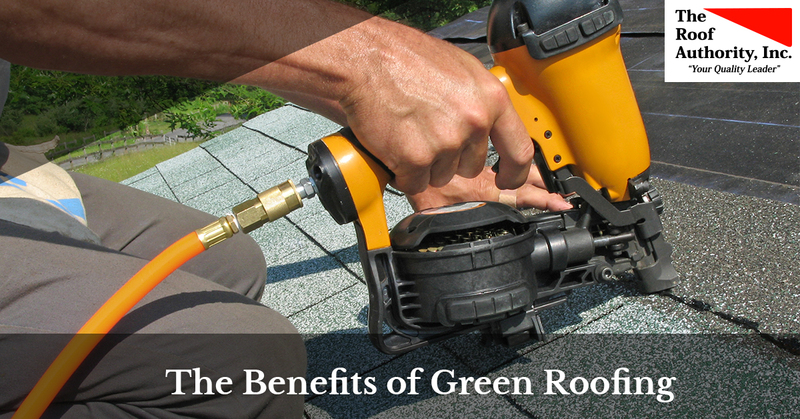 What you might not know is that green roofing will allow your roof to last even longer. One of the most damaging elements a roof can face is sunlight, and when you’ve installed an eco-friendly green roof, the sun will nourish the plants rather than ruin your shingles. Green roofs have been shown to last two to three times longer than a regular roof, which can be up to 50 or 60 years! During heavy rain and hurricanes, the water that runs off the roof is hitting the ground at a rate that can actually cause erosion. Environmentally friendly roofers will install a system that reduces that runoff, and that will absorb stormwater before slowly releasing it back into the atmosphere. Cities put off a much higher amount of heat than smaller towns and rural areas, and green roofing companies can help mitigate that. The result is a reduction in smog, acid rain, and pollution. But also remember that the insulation this type of roofing provides means that the output from air conditioners and heaters will also be reduced. Skyrises and larger buildings will enjoy another benefit of these eco-friendly roofs, which is that they’ve opened up another area for recreation. Outdoor parks, play areas, and gardens will encourage people to congregate, and can foster a greater sense of community. And because this type of technique attracts wildlife, people will enjoy seeing birds, bugs, and other animals enjoy these areas, too. The Roofing Authority takes pride in being an environmentally friendly roofer, and has installed numerous eco-friendly roofs throughout the area. To learn more about how your home or business can take advantage of this method, contact us now for a free quote. We are happy to answer all your questions, and look forward to working with you.